Modernize your look by wearing this pack of three trendy multicolor belts brought to you by Fashius. They have a buckle closure with multiple adjuster holes that promises to provide you with a snug fit. Moreover, they are crafted from a superior quality material, which makes them easy to maintain. Accessorize your attire with these belts to look complete for any formal occasion. You can combine them with a pair of chinos and a printed shirt for any formal occasion. 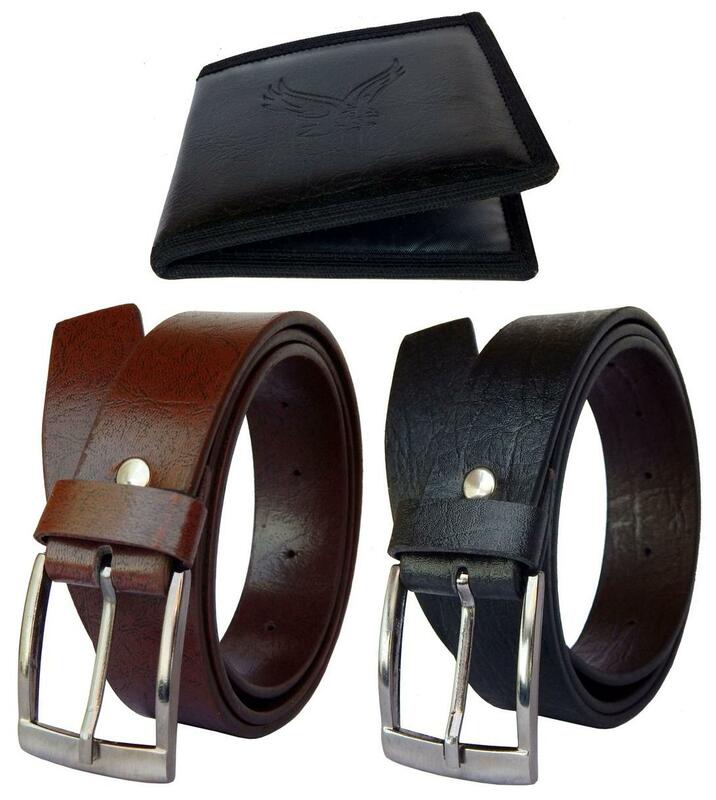 Get recognized for your exceptional dressing sense by wearing this belt .This fabulous belt is made from premium quality material. Which makes it light in weight and a fine quality product for every man to invest in.